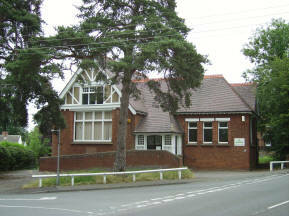 The building now used as a nursery, which served so long as the Woburn Sands branch of the Buckinghamshire Library Service, started life as a Quaker Meeting House in 1901. However, another building, on the same site, was used for the same purposes, as early as 1674. There are three links here. Firstly, a copy of “QUAKERISM AT HOGSTYE END, BUCKINGHAMSHIRE”, by Tyeth A. T. Spencer. Originally printed in 1939, it was an amalgamation of a series of articles he had written for a local paper. It traces the history of the Friends movement in North Bucks, and in particular, the Friends Meeting House in Hogstye End. Secondly, there is the text of a speech made by Mr. Vic Longhorn at the local 2000 Millennium Community Festival. Mr Longhorn, a professional genealogist from Woburn Sands, was given access to the “DIARY OF RICHARD EDWARD WHITE, AND THE HOGSTYE MEETING HOUSE”, and used it for research into the families it covers. This fascinating work records the involvement of the White family with the local Quaker movement, and the diary covers 1846 to 1879. 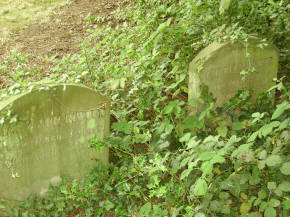 Lastly, a list compiled some years ago by the Bedfordshire Family History Society of the MONUMENTAL INSCRIPTIONS in the burial ground that could be read at that time. These have corroded further since, so this work by them is much appreciated. I am indebted to the Milton Keynes Friends Meeting, Mr Longhorn and the Beds. Family History Society for their permission to use these items.